Find all our resources for teens about books and reading. Sign up for our Teen Scene newsletter, Fantasy and Science Fiction, Popular Culture, or whatever topic you're into. We also have an email newsletter for Young Adult new titles. We've got some great eResources about reading and books aimed at teens including NoveList K8 Plus, RBDigital Magazines and OverDrive for Teens. Our guide for where to find recommendations for your NCEA English reading. News and reviews of young adult literature from library staff. We've compiled lists of great books and resources on a bunch of different themes and topics including some aimed at NCEA reading. Find books, eBooks, eAudiobooks, and resources for rainbow teens. We recommend resources that explore and celebrate the LGBTQIA+ community (LGBTQIA+ = lesbian, gay, bisexual, transgender, queer, intersex, and asexual). Find award-winning fiction for teens and young adults. See what our young adult literature experts are recommending or get one of them to make a suggestion for you based on what you've enjoyed before. If you're really into writing there are a range of awards and prizes aimed specifically at teens. 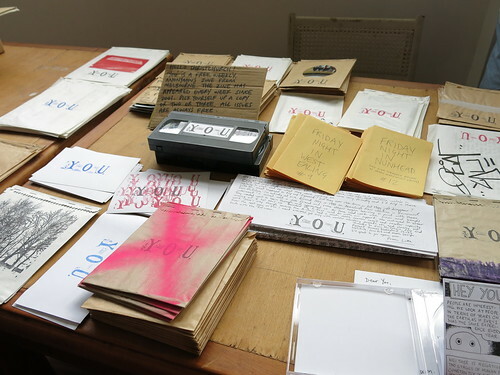 All about making zines and local zine events.